Be treated with dignity, respect and consideration. Received information about the services covered under the Hospice Benefit. Received information about the scope of services that Soreo Hospice provider and the specific limitations on those services. Receive effective pain management and symptom control from Soreo Hospice for the conditions related to the terminal illness. To be involved in his or her Plan of Care. Except in an emergency, either consents or refuses treatment. May refuse or withdraw consent for treatment before treatment is initiated. Except in an emergency, is informed of proposed treatment alternative, associated risk and possible complications. Have his or her property treated with respect. Consent to photographs of the patient before the patient is photographed, except that a patient may be photographed when admitted for identification and administrative purposes. The patient may voice grievances regarding treatment or care that is (or fails to be) furnished and the lack of respect for property by anyone who is furnishing services on behalf of Soreo Hospice and to not be subjected to discrimination or reprisal for exercising his or her rights. Choose his or her own attending physician. Receive information regarding any beneficial relationship between Soreo Hospice and any referring company. Clinical and financial records that are confidential. Access to or release of patient information and clinical record is permitted in accordance with 45 CFR parts 160 and 164. Patient will not be discriminated against based on race, national origin, religion, gender, sexual orientation, age, disability, marital status or diagnosis. Receive treatment that supports and respects the patient’s individuality, choices, strengths and abilities. Receive privacy in treatment and care for personal needs. Review, upon written request, the patient’s own medical record according to A.R.S. §§ 12-2293, 12-2294, and 12-2294.01 and 45 CFR 164.524. All requests will be address in no more than 30 calendar days. Have the right to inspect or obtain a copy, or both, of the PHI as well as to direct Soreo to transmit a copy to a designated person or entity of your choice. Request must be in written form. Fees may apply, as applicable by law. Other records used in whole or in part, by or for the covered entity to make decisions about individuals whether or not those records have been used to make a decision about the particular individual requesting access. PHI that is not part of a designated record set. Which may include quality assessment or improvement records, patient safety activity records, business planning, development and managing records. Psychotherapy notes which are the personal notes of a mental health care provider documenting or analyzing the contents of a counseling session that are kept separate from the medical records. Receive assistance from a family member, the patient’s representative or other individual in understanding, protecting, or exercising the patient’s rights. Be free from neglect, exploitation, coercion, manipulation, seclusion, restraint, mistreatment, or mental, verbal, physical and sexual abuse or assault, including injuries of unknown source, and misappropriation of patient property. Soreo Hospice complies with Subpart 1 of 42 CFR 489 and a copy of the written policies and procedures regarding advance directives, including the individual rights under Arizona State law and how much rights are implemented by Soreo Hospice will be given to the patient. 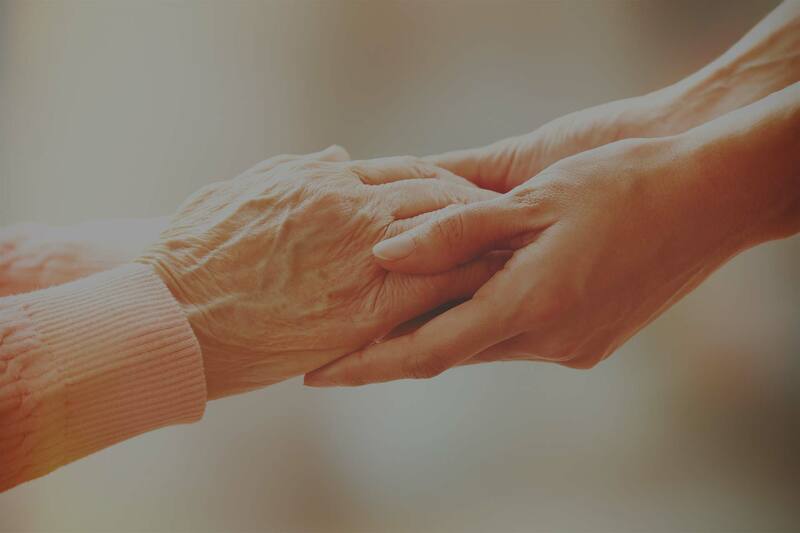 Receive written information describing Soreo Hospice’s grievance procedure which includes the contact information, contact phone number, hours of operation and mechanism for communicating problems. Receive an investigation by Soreo Hospice of complaints made by the patient, family, or guardian regarding treatment of care and that Soreo Hospice will document the existence of the complaint and resolution of the complaint. Request information regarding organizational ownership and control. To be informed in advance of care to be furnished and of any change of care to be furnished. Promote and protect the patient’s rights to exercise their rights. All alleged violations involving mistreatment, neglect, or verbal, mental, physical, and sexual abuse, including injuries of unknown source, and misappropriation of patient property by anyone furnishing services on behalf of Soreo Hospice are reported immediately by Soreo Hospice employees and contracted staff to the COO, at 520-547-7000. All alleged violations will be immediately investigated involving anyone furnishing services on be behalf of Soreo Hospice and take immediate action to prevent further potential violations while the alleged violation is being verified. Take appropriate corrective action in accordance with state law if the alleged violations are verified by the CEO or an outside body having jurisdiction, such as a local law enforcement or State survey agency. All verified violations are reported to state and local agencies having jurisdiction (including state survey and certification agency) within five (5) working days of becoming aware of the violation. If a patient has been ruled incompetent under state law by a court of proper jurisdiction, the rights of the patient are exercised by the person appointed pursuant to state law to act on the patient’s behalf. If a state court has not ruled a patient incompetent, any legal representative designated by the patient in accordance with state law. Soreo Hospice will secure the signature of the patient or patient’s representative confirming that he or she has received a copy of the notice of rights and responsibilities. Soreo Hospice will not discontinue or reduce care provided to a Medicare or Medicaid beneficiary patient because of the beneficiary patient’s inability to pay for that care. declining or lack of financial resources. d. That a written copy of rates and charges, as required in A.R.S. § 36-436.03, may be requested. Communicating honestly and directly with your healthcare team and providing accurate information. Cooperating with your healthcare team and following their instructions to optimize the care, treatment and services provided. Asking questions and informing our healthcare team when you do not understand information or instructions and your treatment course or care decision. Participating in your medical plan of care. Being respectful and considerate of others and of Soreo Hospice property. Informing Soreo Hospice of violations of patient’s rights. Reporting concerns regarding care and safety to Soreo Hospice staff. Asking questions and understanding how to meet your financial commitments. Inform Soreo Hospice of any changes to address, phone numbers or change in insurance coverage in a timely manner.